This book offers a new account of human interaction and culture change for Mesoamerica that connects the present to the past. Social histories that assess the cultural upheavals between the Spanish invasion of Mesoamerica and the ethnographic present overlook the archaeological record, with its unique capacity to link local practices to global processes. To fill this gap, the authors weigh the material manifestations of the colonial and postcolonial trajectory in light of local, regional, and global historical processes that have unfolded over the last five hundred years. Research on a suite of issues—economic history, production of commodities, agrarian change, resistance, religious shifts, and sociocultural identity—demonstrates that the often shocking patterns observed today are historically contingent and culturally mediated, and therefore explainable. This book belongs to a new wave of scholarship that renders the past immediately relevant to the present, which Alexander and Kepecs see as one of archaeology’s most crucial goals. Rani T. Alexander is a professor of anthropology and the head of the Department of Anthropology at New Mexico State University. She is also the author of Yaxcabá and the Caste War of Yucatán: An Archaeological Perspective (UNM Press) and the coeditor of The Postclassic to Spanish-Era Transition in Mesoamerica: Archaeological Perspectives (UNM Press) with Susan Kepecs. Susan Kepecs is an independent scholar and an honorary fellow in the Department of Anthropology at the University of Wisconsin–Madison. 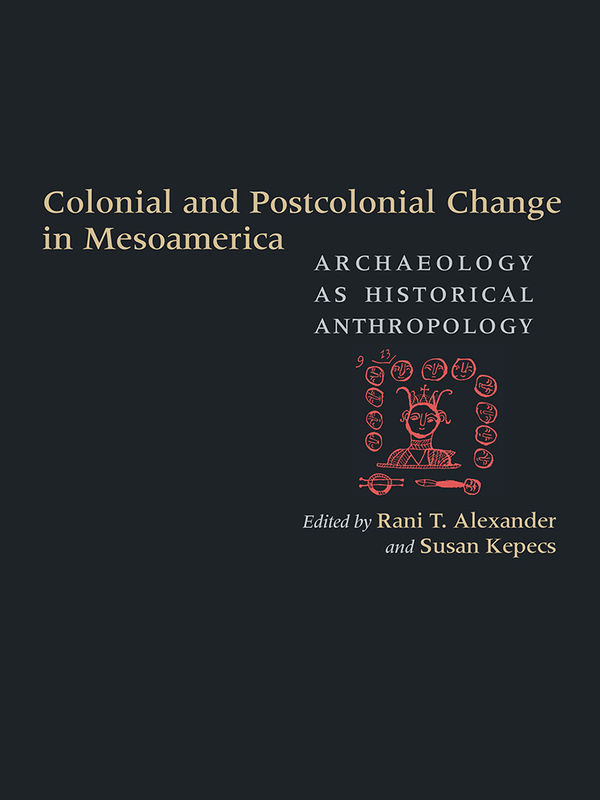 She is the coeditor of The Postclassic to Spanish-Era Transition in Mesoamerica: Archaeological Perspectives (UNM Press) with Rani T. Alexander and the coeditor of Beyond the Blockade: New Currents in Cuban Archaeology with L. Antonio Curet and Gabino La Rosa Corzo.